Andrea: At the beginning of summer, the colors are bright, and they fade towards the end of the season. 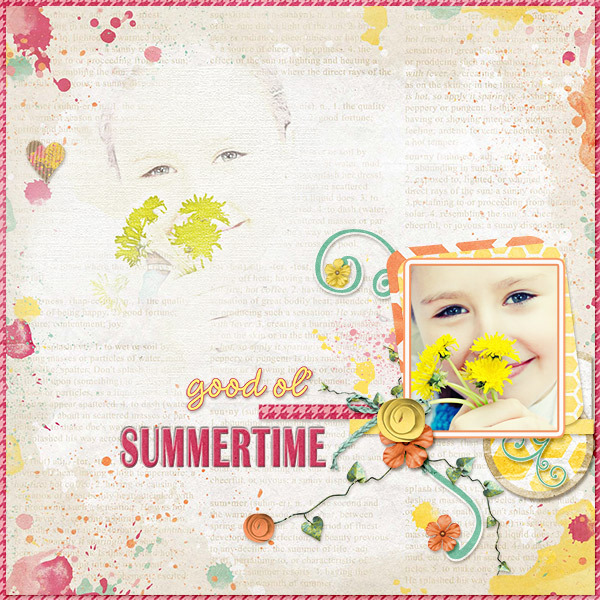 The bright colors and the cooler colors of summer are both featured in this collection. 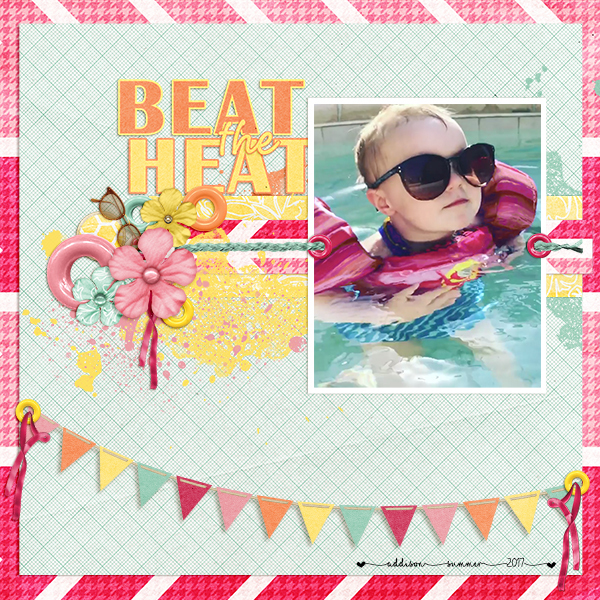 I love how this color palette has everything I need to create summer layouts. Judy: The bright yellow papers first drew me to this collection. However, upon closer inspection, it was the array of colors and cute embellishments that got the creative juices flowing. Everything works together so well, from the largest to the smallest detail. 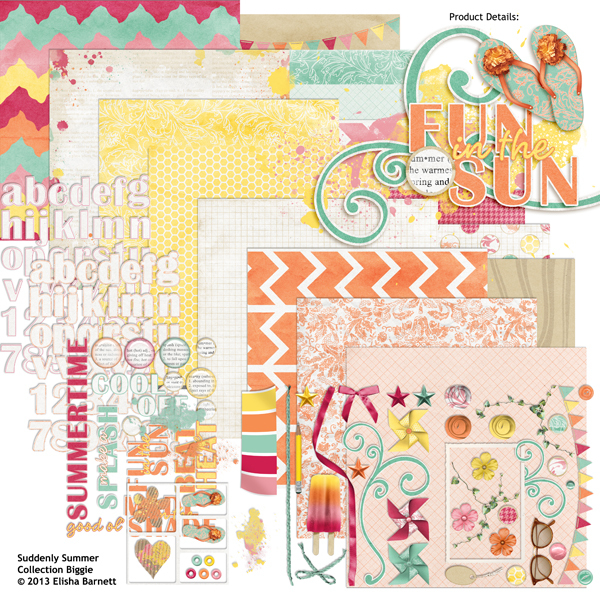 Geraldine: My first reaction to this collection was the name “Suddenly Summer” because it immediately made me think of the beautiful days of summer. Then the colors and the embellishments really caught my attention. I know I will be able to use this kit on many layouts!